WE REGULARLY RECEIVE INSPIRING STORIES, PHOTOS AND ARTWORKS FROM ACROSS THE COUNTRY. THIS IS OUR LITTLE ‘SCHOOL OF FAME’ WHERE WE CAN SHARE AND HOPEFULLY ENCOURAGE MORE GREAT WORKS OF ART AND FUNDRAISING SUCCESSES. Teacher Joel Standeven organised a fundraiser with his class, after engaging his students during grammar class. He wrote to us: "During our rainforest topic work in year four we became increasingly aware of the damage being caused to rainforests across the world and the beautiful animals habitats and peoples lives being damaged by the effects of deforestation. After reading a range of news articles, the pupils wanted to do something to help, not just in our local environment but further afield! 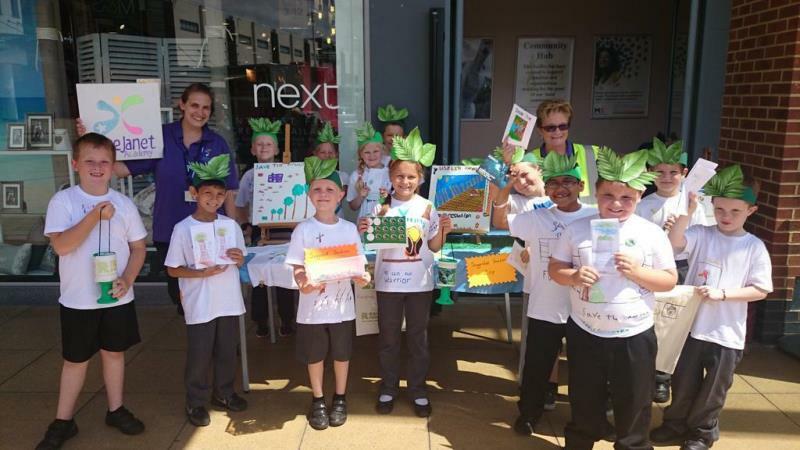 After finding the Rainforest Foundation UK's website, we became even more inspired to help. Held a “Jungle FUND~le” a presentation about the rainforest for their families and friends. 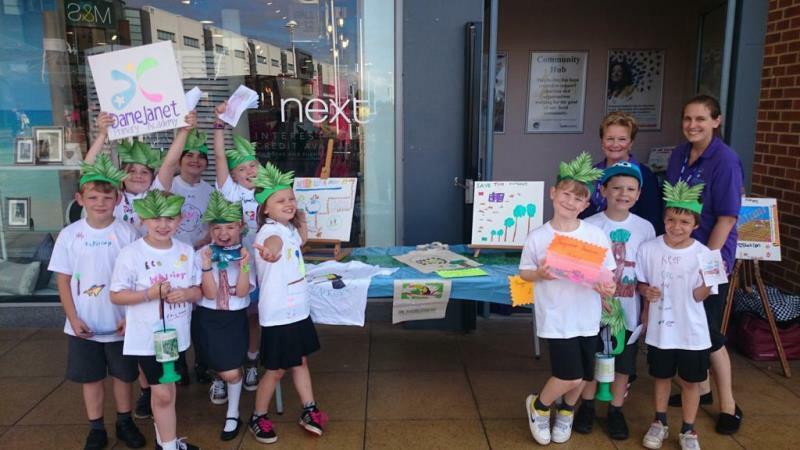 They performed a dance and songs about the rainforest and raised £430! Thanks! raised an amazing £403.20 for RFUK! Well done to all the children and their teacher Nick! Class 5 raised £52.43 at their fruit stall called “fruit fiesta”! Thanks everyone! Year three eco warriors have been very busy! Through a copper collection and fun run they've raised over £700 for RFUK! They even put on a special assembly on deforestation- what an amazing effort. 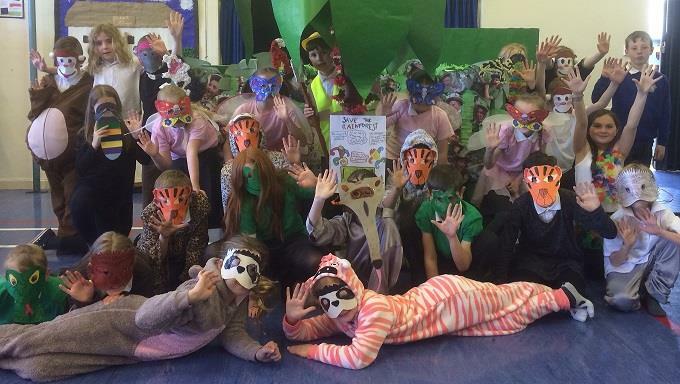 Well done guys, we're so proud of your enthusiasm to help protect rainforests! created a beautiful fundraising display selling decorated tote bags and post cards, raising an amazing £349 for RFUK! Well done year 3! And we love your hats! sent us their beautiful letters telling us about their cake sale and how much they raised (A whopping £270!) Fantastic job guys! 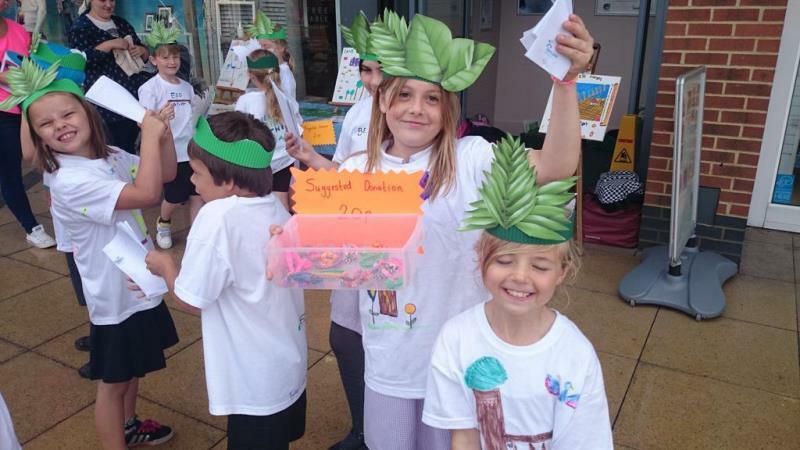 sent us some lovely letters telling us about their fab fundraising day where they sold fruit skewers and tribal necklaces and raised an impressive £63.60 for us, thank you very much Cranmere! have been working hard writing letters to Pepsico and the Brazilian government asking them to stop deforestation! 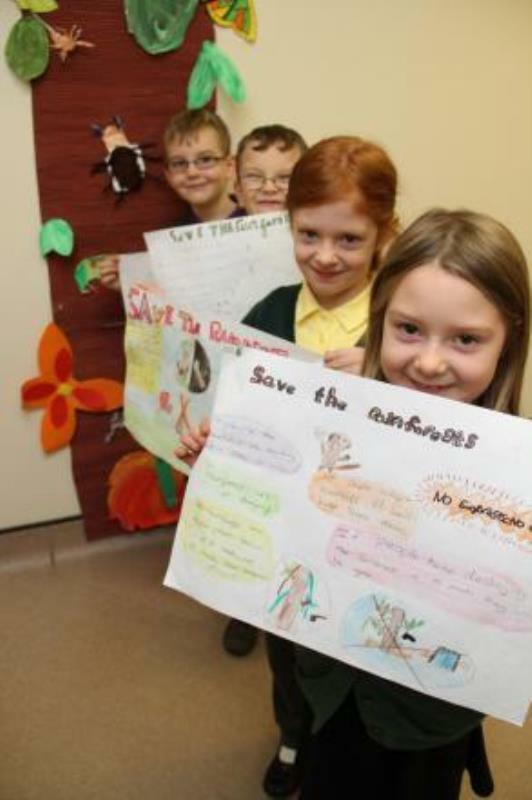 After reading all their letters it's clear this school care a great deal about the rainforests! Thank you Merton Abbey! 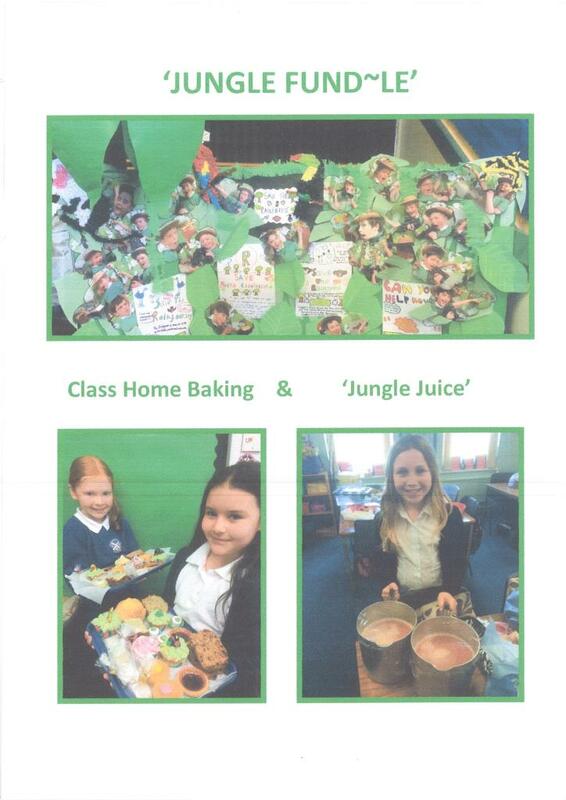 have written and sold 'Rainforest Recipes' books with delicious milkshakes, smoothies and fruit salads inside, to raise funds for Rainforest Foundation UK! Well done Room 5, we will be trying some of your yummy recipes soon!